I come from a small Spanish town close to the Mediterranean sea, Huércal-Overa, and I spent all the summers of my childhood on the coast of Terreros. These summers with my family gave me my passion for marine life and I decided to study Biology at the Universidad de Granada (2008). While I was an undergrad student and afterwards, I had the opportunity to work for the Spanish government in different projects to recover/protect freshwater and marine mollusk species. In 2010, I got a scholarship to continue my academic training and I went to USA, obtaining a Master’s degree in Fisheries and Wildlife Sciences from the Virginia Polytechnic Institute and State University (Blacksburg, VA). I focused my studies on marine environment management from a statistical viewpoint, and I worked as volunteer on the Virginia Tech Mussel Lab ( Freshwater Mollusk Conservation Center (FMCC)), where I deepened my knowledge of culture techniques and biology of mollusks. ARAMACC PhD Project: The biological and ecological drivers of calcification rate and increment formation in Arctica islandica. I started my PhD in March 2014 under the supervision of Dr. Rob Witbaard. I work at the Royal Netherlands Institute for Sea Research (NIOZ), situated on Texel, a small island in northern Holland. My project focuses on the understanding of the growth biology of Arctica islandica. 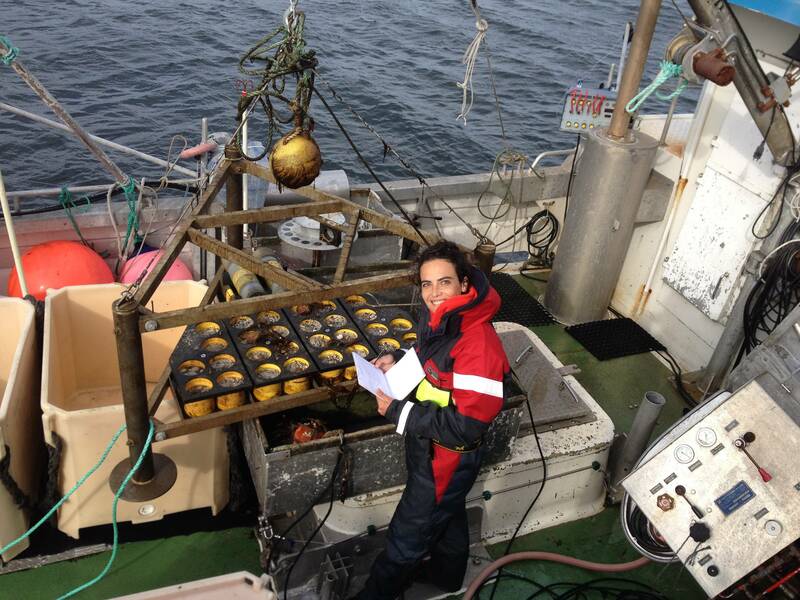 I will study the timing of shell and tissue growth in relation to the key environmental factors through lab and field experiments (mostly at NIOZ and in northern Norway). The outcome of these experiments will be a first version of a DEB (Dynamic Energy Budget) model for Arctica islandica. The model will inform the environmental reconstructions based on growth increment series that are being developed by other PhDs within ARAMACC.